The biggest risk to markets and the UK economy today is that the UK leaves the European Union with a deal, according to Pictet’s Andrew Cole and Shaniel Ramjee. For much of the past three years, many have warned about the impact a no-deal Brexit would have on the UK economy. That includes Bank of England Governor Mark Carney. But the threat of the UK crashing out of the EU without a deal continues to wane as we keep seeing that there is little to no appetite for that outcome in Parliament today. Indeed, that has led Prime Minister Theresa May to request a further extension, this time until June 30. The extension suggested is being dubbed a “flextension”, as the PM wants it to end as soon as Parliament approves a form of her deal. All in all, this greatly, though not completely, reduces the possibility of a no-deal Brexit. However, Cole and Ramjee, multi-asset fund managers at Pictet, think the risk that the markets are not currently considering is the potential for a policy mistake from the Bank of England after a deal is agreed. 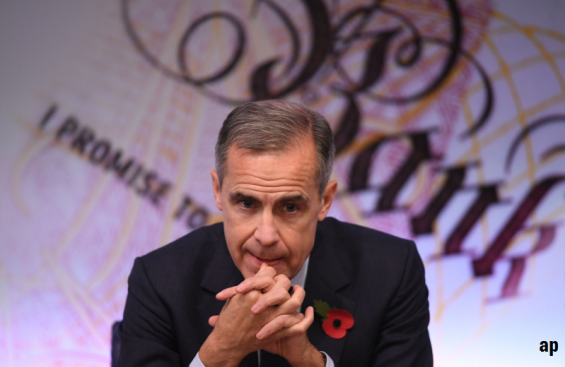 Carney has repeatedly warned of the negative impact no-deal would have on the UK economy, something Cole thinks has overly politicised the Governor's role. Because of those opinions, Cole thinks Carney is likely to see a deal as good news and see the seeming strength of the UK economy and thriving jobs market as a trigger to start hiking interest rates once more. Cole thinks that “would be another mistake by Mark Carney”. “That would be a big shock because the interest rate market and the sterling market are not pricing that in,” he explains. As a result, sterling would spike and the housing market would take a hit as mortgage rates trend upwards. “For the economy, it would be very bad news,” adds Ramjee. Cole and Ramjee agree with the notion that the UK could be more prone than many other parts of the world to a recession, but don’t think it’s necessarily Brexit-related. A policy mistake like that mentioned previously would likely be the biggest trigger. However, another would be borne out of the result of a general election, which seems to be getting closer. “Our rhetoric about Brexit’s not really changed,” says Cole. “It’s not really a big issue for markets. [The big issue for markets is] the next election [and] it looks like it’s getting closer. “It’s still a risk that is unrecognised by overseas investors – that there’s a very left-wing Government in waiting.” Should Jeremy Corbyn’s Labour party emerge victorious, that would radically change the dynamics of the market as external financing moves away from the UK and savings rates on both the corporate and consumer sides go up. Despite this, Cole and Ramjee’s funds have gone from not being fans of the UK stock market to increasing their exposure. “It’s been a market that has significantly underperformed,” admits Cole. Clearly, the most obvious catalyst is a clearing of the Brexit-related uncertainty, one way or the other. Indeed, should the fog abate, there’s plenty of cash on the sideline waiting to find a home. That can come from the UK domestic savings pool and from retail and institutional investors, which have spent the best part of the last two decades switching from UK stocks to global equities, or, indeed, from equities into bonds. But another source of demand could stem from overseas in the form of individual investors or corporates. Cole explains: “The UK welcomes overseas buyers of its companies and my guess is that once the uncertainty around the value of the pound or Brexit [has cleared] foreign buyers will rock up to buy UK companies. The team like the more globally oriented companies, with miners at the top of the list as commodity prices continue to improve.